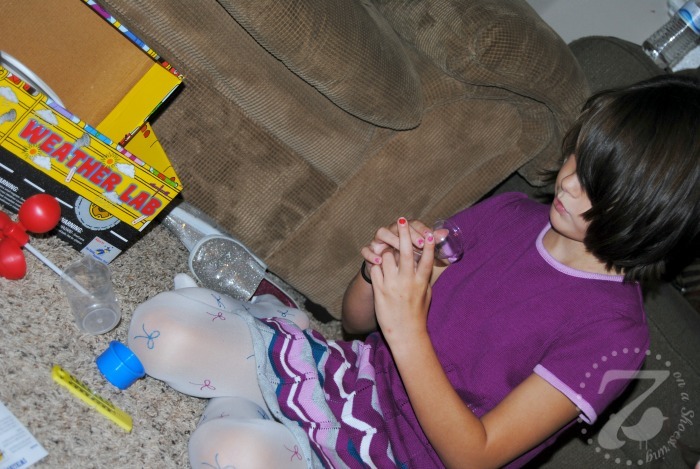 Since we homeschool, we like to find fun ways to get the girls engaged in learning. One of the kids’ favorite subjects at home as always been Science. The possibilities of learning outside a classroom are endless. Plus, the experiments are always great for really learning and digging deeper into the intricacies of how things work. With the recent changing of the seasons, we thought it would be a good time to learn about weather. When we were offered an opportunity to review The Magic School Bus Weather Lab from The Young Scientists Club, it was an ideal tie-in to our weather study. Plus, it gave us a wonderful collection of supplies and experiments to kick-start our unit. 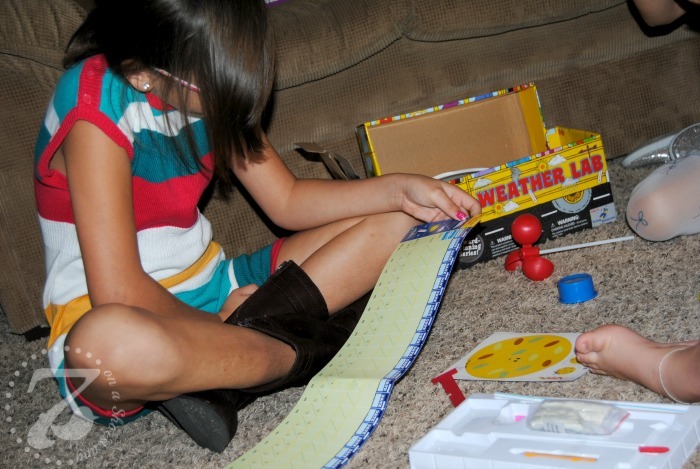 The Weather Lab provides the tools the kids need to become the family meteorologist. 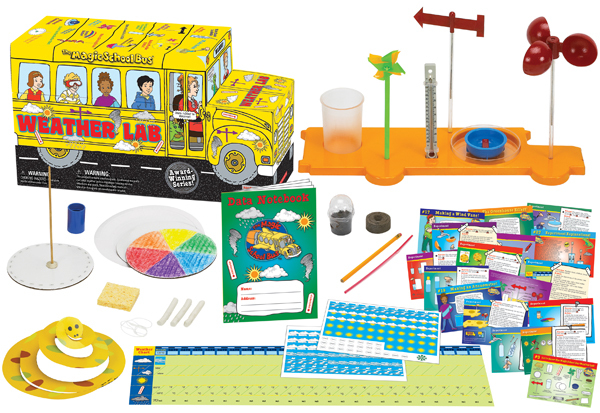 They can build the bus-shaped weather station using the included directions and tools, and then track the weather. 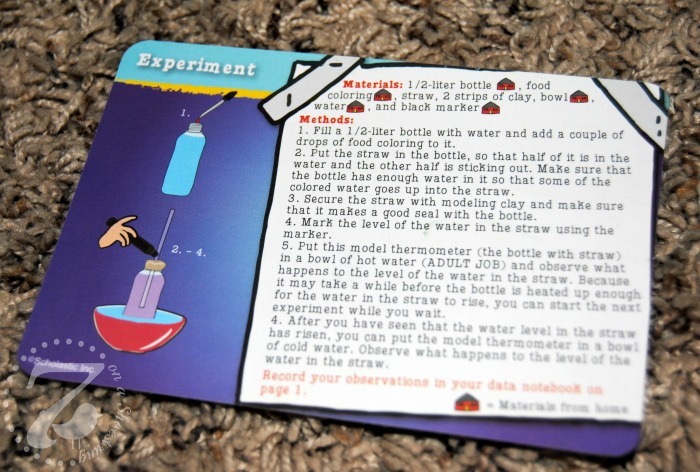 There are 28 experiment cards inside the box to encourage the children to learn more about interesting weather phenomena. After creating a whipping tornado or causing rain to fall, kids can better understand and monitor the weather around them. Not only are the children more inspired to learn about weather and the study of Science, but they also get a dose of math. Not to mention, reading, note taking, observing, and even team work. Everything you need to properly learn about weather and discover more about the world around us every day. JJ even decided she wanted to share one of the 28 experiments with her YouTube audience. 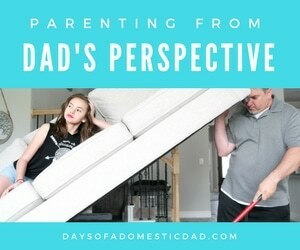 It was a first-run of the experiment so you can see exactly how it went for her. I mean, not all experiments work perfectly the first time. Ha! Afterward, her older brother wanted to make sure she understood why the change in temperatures made the water both rise and fall. So it was a fun learning experience for everyone as we sat behind the camera to discover what would happen with her. Well, that and to capture the behind-the-scenes action of waiting for the water to rise in the straw. What do you think will happen in the experiment? Be sure to watch the video to see what JJ discovered. 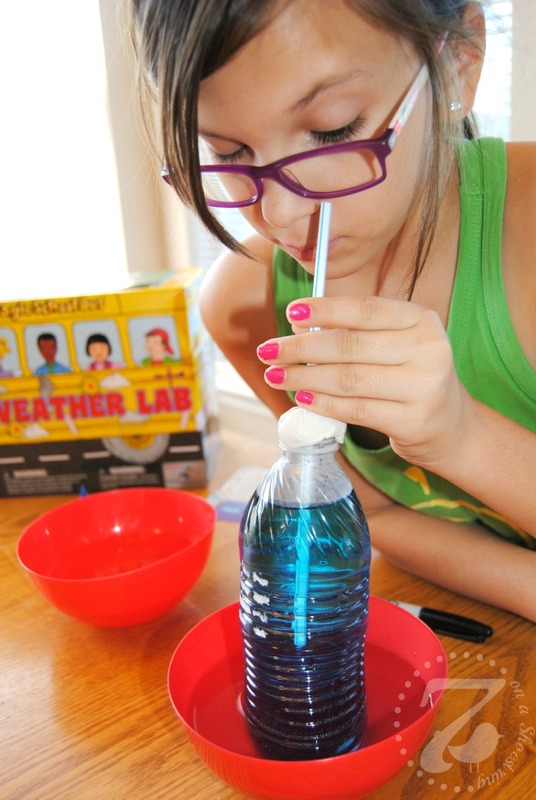 Learn more about The Weather Lab and other science products for children by liking The Young Scientists Club on Facebook or by following @TYSClub on Twitter.